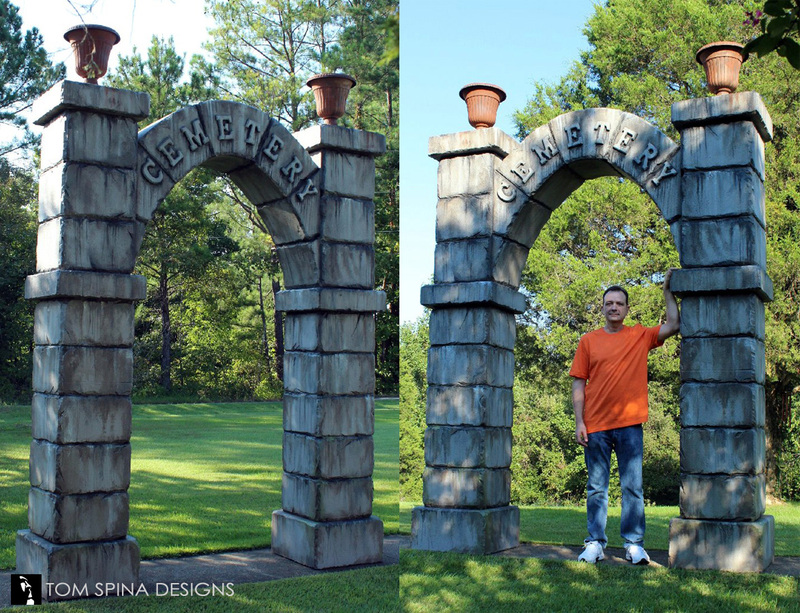 Foam carved foam cemetery gates arches bring theme park style decor to your home or business! These carved foam cemetery gates archways are wonderful scenic props made for Kings Dominion theme park. We created a pair of 11 foot tall faux stone arches from hand carved EPS foam. 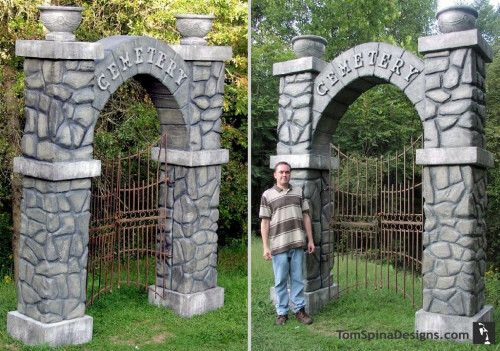 The twin gates were hard coated for durability and then realistically painted with to look like aged stone with layers of muck and grime for an eerie, spooky look. 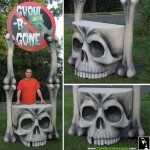 The props are an incredible Halloween display for their theme park, and something we could create for your business, party, trade show, haunt or even your home! 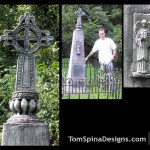 The second set of images show another cemetery gates prop we created for someone’s home Halloween display. 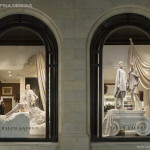 Must be the best in the neighborhood! We can create all sort of scenic elements to suit any holiday display, so drop a line and let’s make a cool foam prop for you! 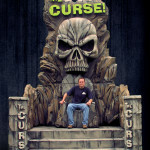 Looking for a large foam carved scenic prop for your next event? This classic Universal Horror is one of our all time favorites! You can download and watch it today!